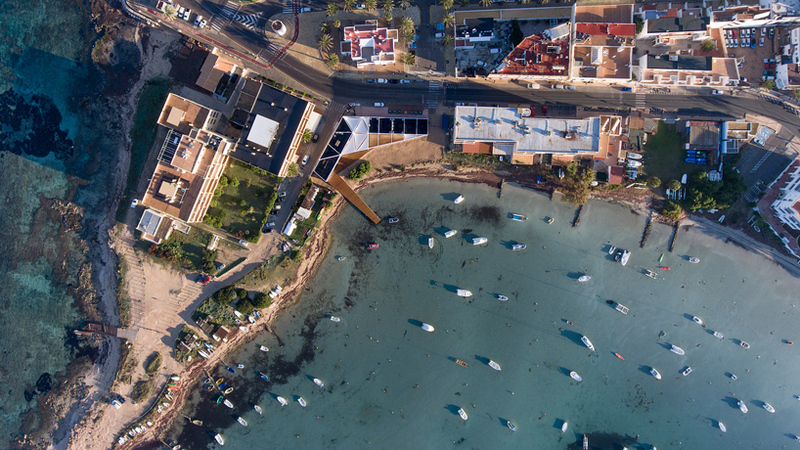 the port of la savina, the main point of access to spain’s formentera island, serves as a border between an urban neighborhood, the mediterranean sea, and a saltwater lake within ses salines natural park. 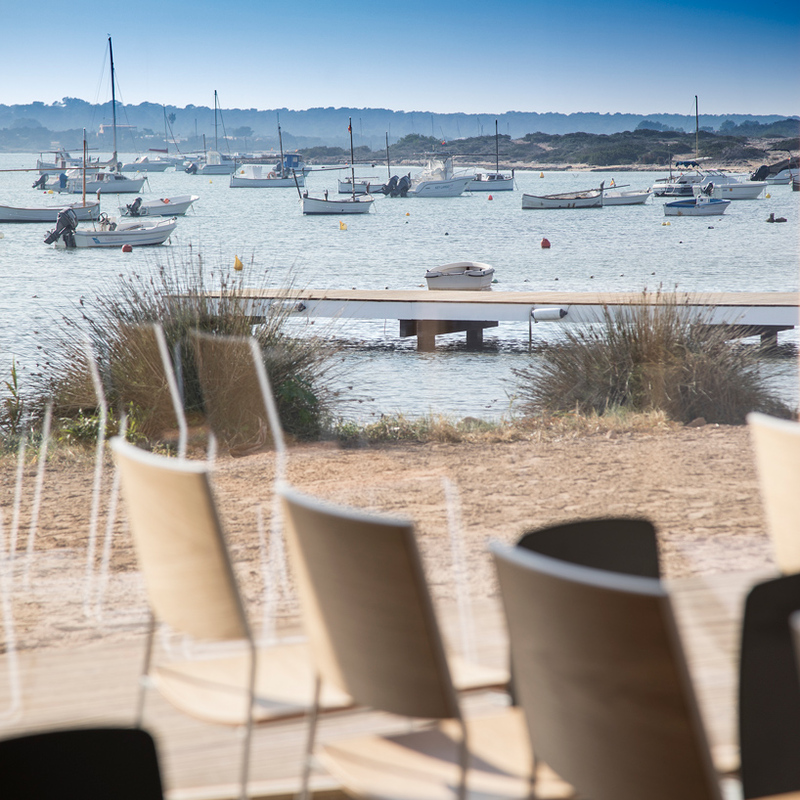 giving protection to the open sea, this lake has traditionally been used as a natural harbor to anchor small fishing boats. 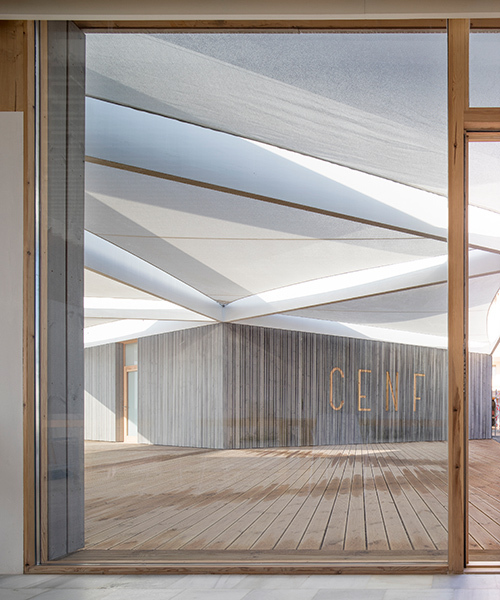 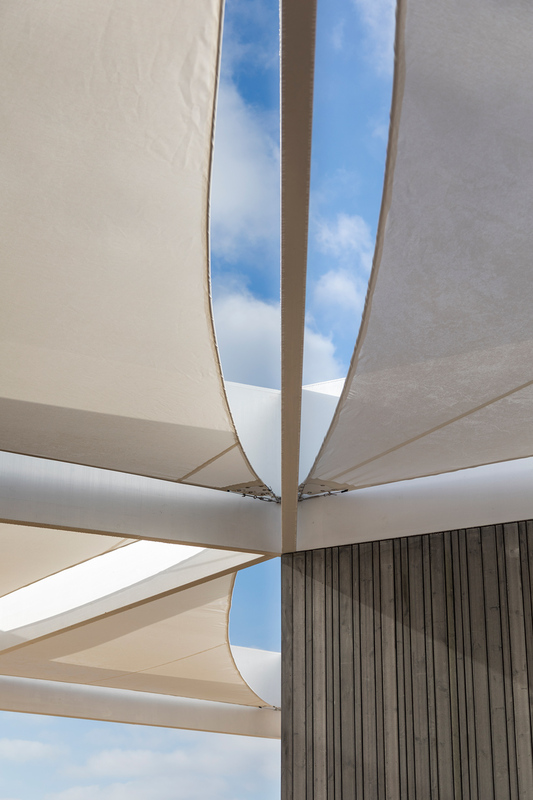 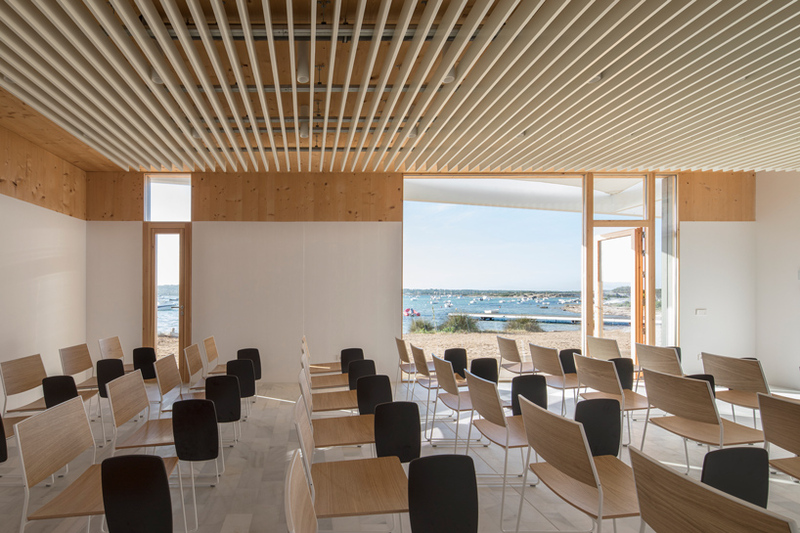 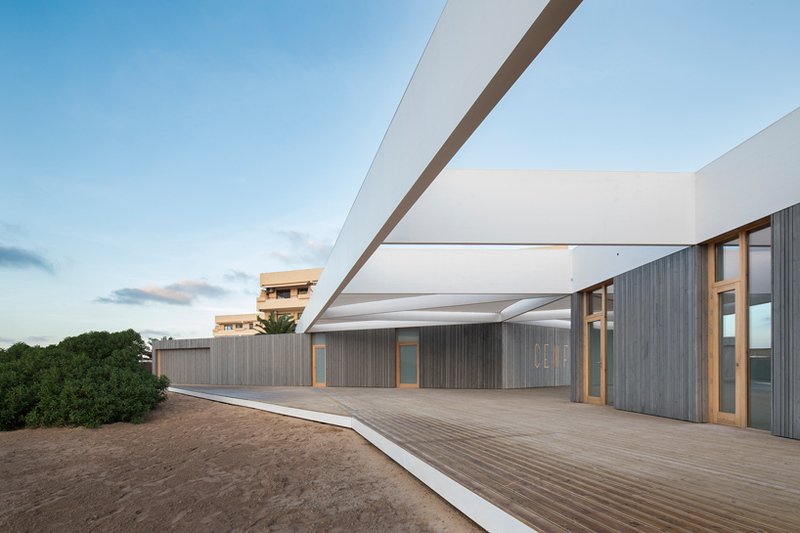 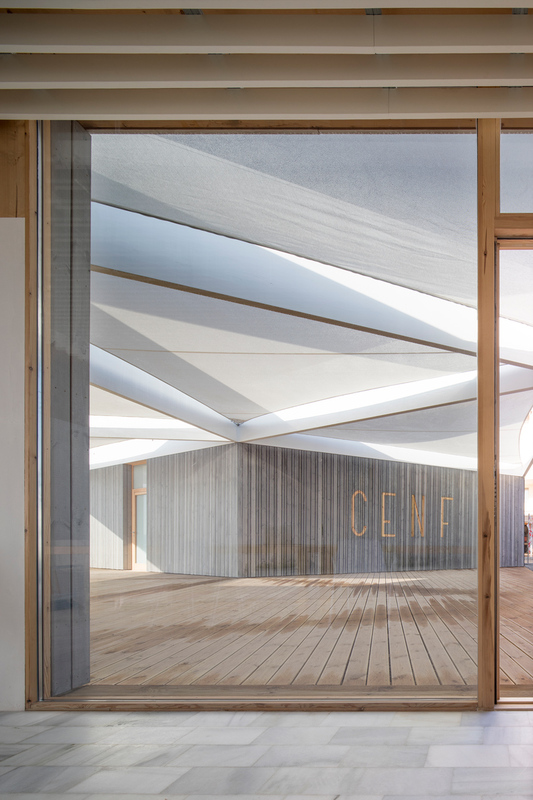 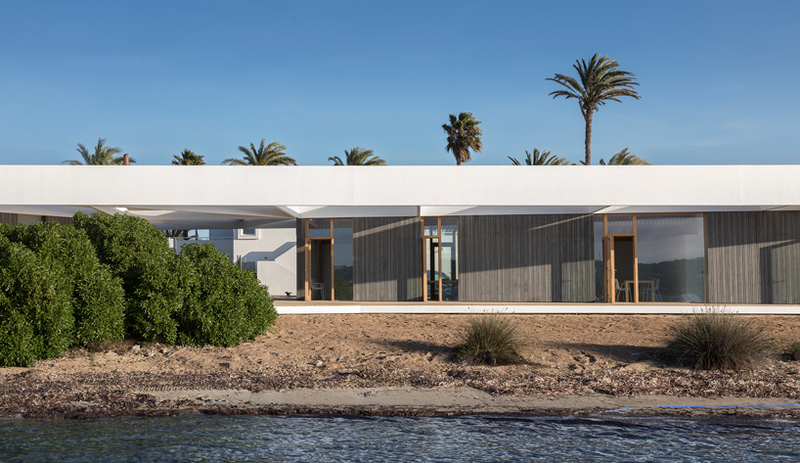 because of its geographic importance, architect marià castelló situated his municipal sailing school along this coastal site, a project designed to express the nautical characteristics of its context. 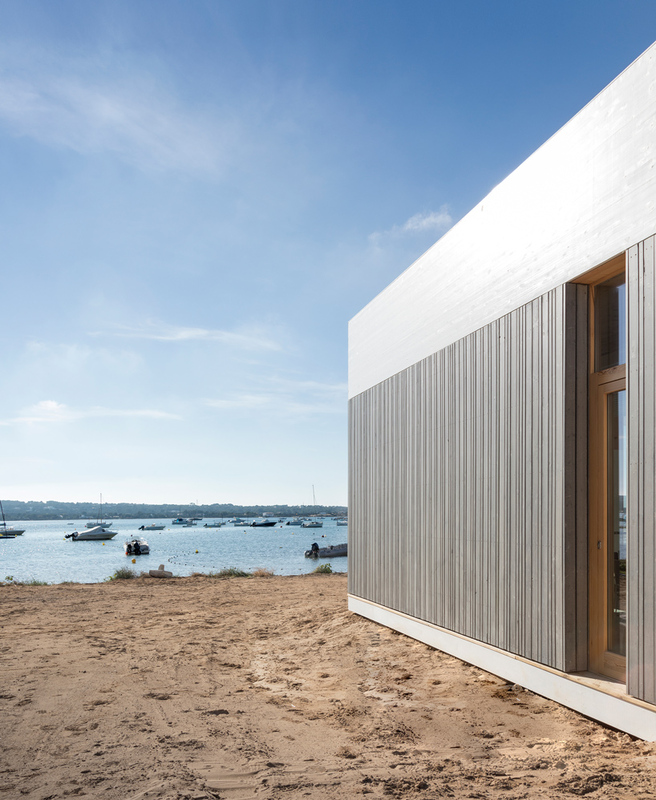 through a tectonic based almost entirely on a single material, a lightweight building has been erected, built with low environmental impact. 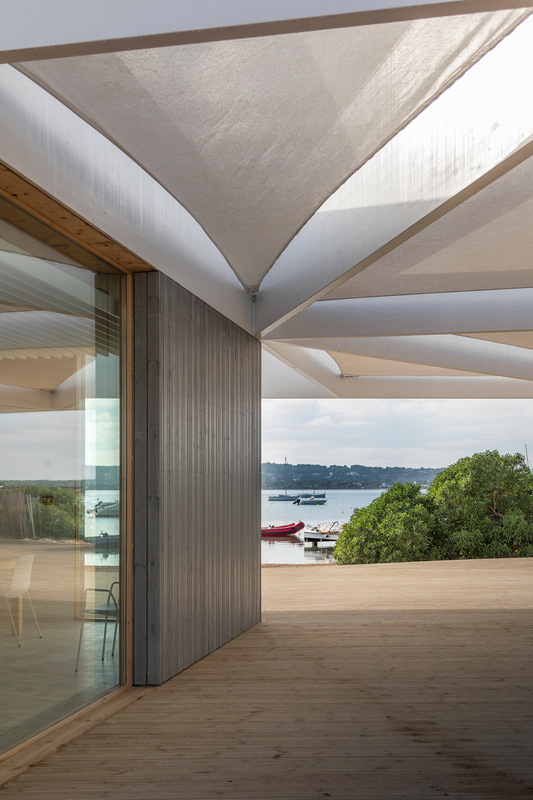 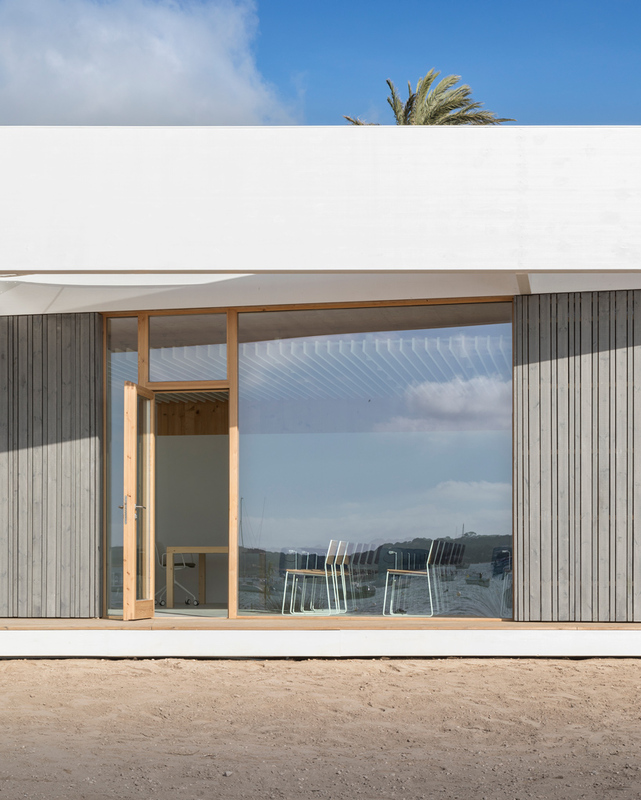 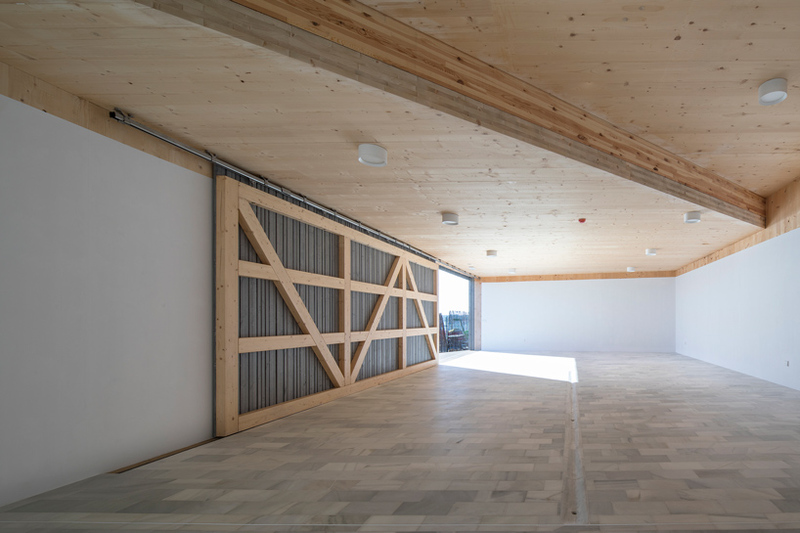 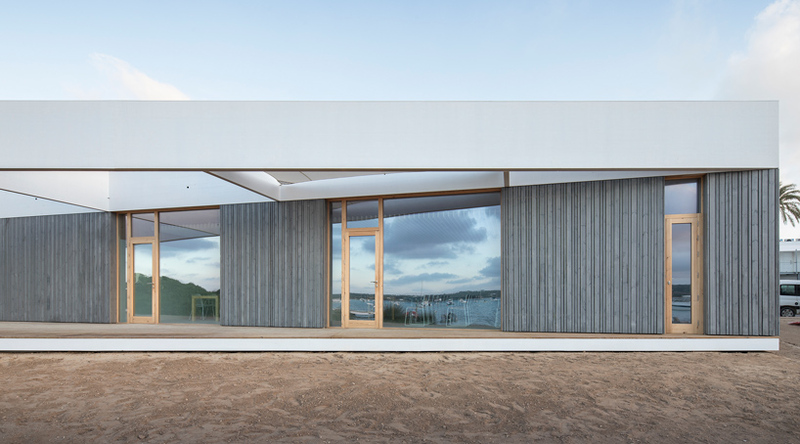 similar to the boathouses traditionally built along the island’s coastline, the studio worked primarily with wood, manifested in different forms and types depending on the requirements. 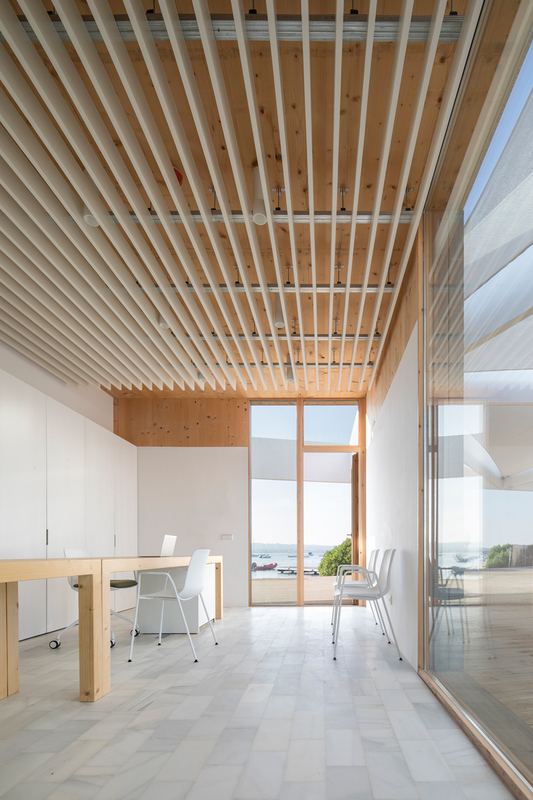 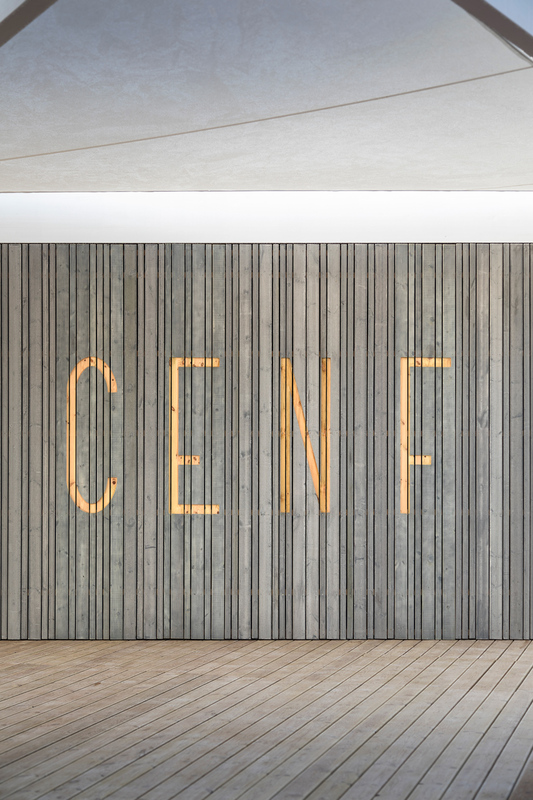 with the structure, enclosure, and finish fabricated with cross-laminated timber, the ventilated facade is expressed with pine louvers which, over time, will take on a characteristic gray patina. 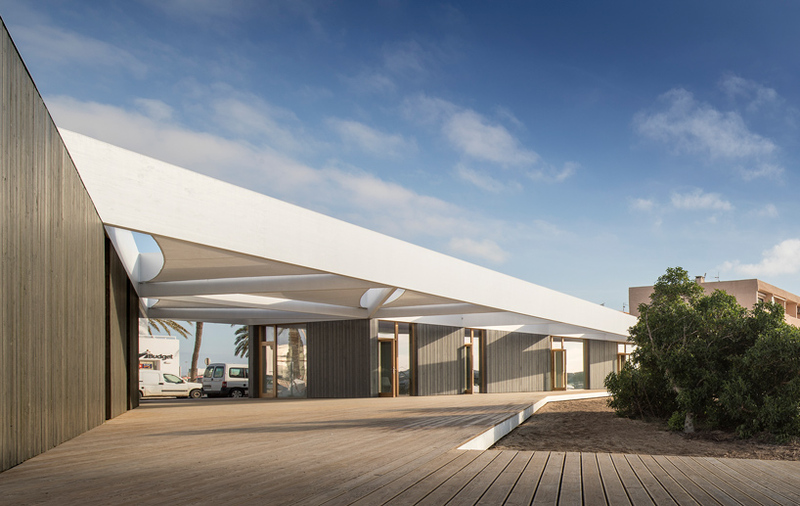 the dock is fabricated with the traditional technique of wooden piles submerged below sea level, while the outer platform is suspended on a minimum foundation, prefabricated and reversible, based on surface micro-piles.